B. Thomas (Arlington, Texas, United States) on 18 February 2019 in Animal & Insect. While driving home from a trip to west Texas, we passed a pond by the road with many longhorn cattle drinking with perfect reflections in the water. We couldn't stop there on the highway, so went over a hill to the first place we could turn around to go back for a photo. We got there to see all the longhorns in a line running as fast as they could go into the next pasture. I jumped out and ran up to the fence. The stragglers had slowed down to graze and this last one looked up for a quick grab photo. So much for my dream shot of longhorns reflected in the pond! It cannot pass through a very narrow door. Awesome horns. Unfortunate about not getting the reflections, but how fortunate to get the longhorn to stop and pose for you! That is one huge rack! Beautiful photo with the longhorn looking at you ! 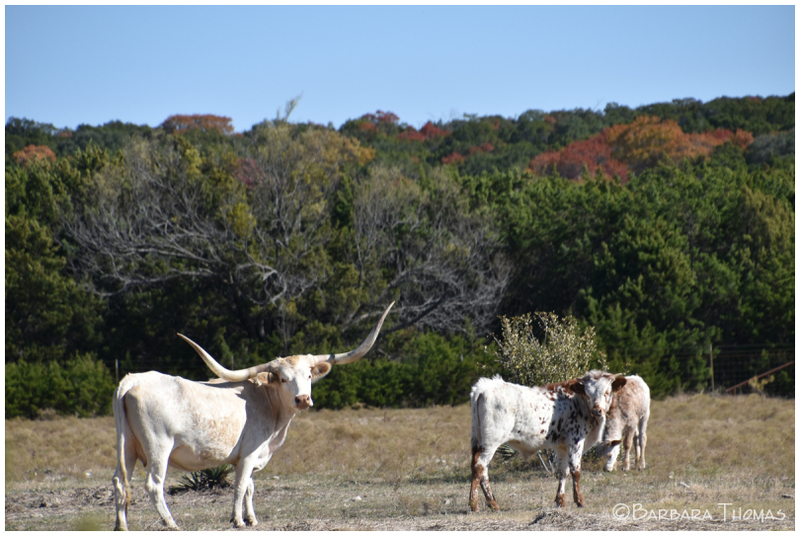 Excellent look at these fine Longhorns. Wow, great horns are here photograped. It never turns out how we envision it! But this is a fabulous image of this longhorn. I don't see how they can get through the brush without those horns getting stuck on something. Plus it must be some kind of balancing act just carrying them around all of the time! Well, you still got a great shot of this wild looking critter! they stopped to take a look into your camera... a wonderful capture!